Patients who come to our Albuquerque dental care center know that we pay close attention to all sorts of dental health issues. Whether the teeth or the gums are affected, our team can address these problems using the latest in general, cosmetic, and restorative dentistry treatments. In many cases, tooth sensitivity is the first sign of a problem. This is often due to the exposure of the tooth roots. Let's take a moment to discuss these issues. To understand why tooth sensitivity occurs when tooth roots are exposed, it's important to first consider the anatomy of a tooth. Enamel – This is the topmost layer of the tooth. Enamel is one of the strongest substances in the human body. Dentin – This is the underlying structure of a tooth beneath the enamel. Dentin is porous, and the pores in the dentin are known as dentinal tubules. Pulp Chamber – Each tooth has a hollow central chamber that is filled with a substance known as dental pulp. This dental pulp is comprised of nerves, blood vessels, and connective tissue. In addition to this, it's important to consider the position of the teeth relative to the gumline. Above the gumline, the portion of the tooth is known as the crown. Beneath the gumline, the tooth root extends down into the jawbone. When the gumline recedes and exposes more of the tooth's root structure, it reveals a part of the tooth that is intended to be covered up. The tooth roots have less enamel on them than the crowns of the teeth. This means closer access to the dentin. Since dentin is porous, it is much more sensitive than enamel, particularly with regard to hot and cold temperatures. When tooth roots are exposed, this can lead to serious issues with tooth sensitivity and even dental pain. The roots of the teeth are generally more susceptible to tooth decay. If decay occurs below the gumline in the exposed root structure, this can be very difficult to treat, and means an increased risk of root canal infection and potential tooth loss. 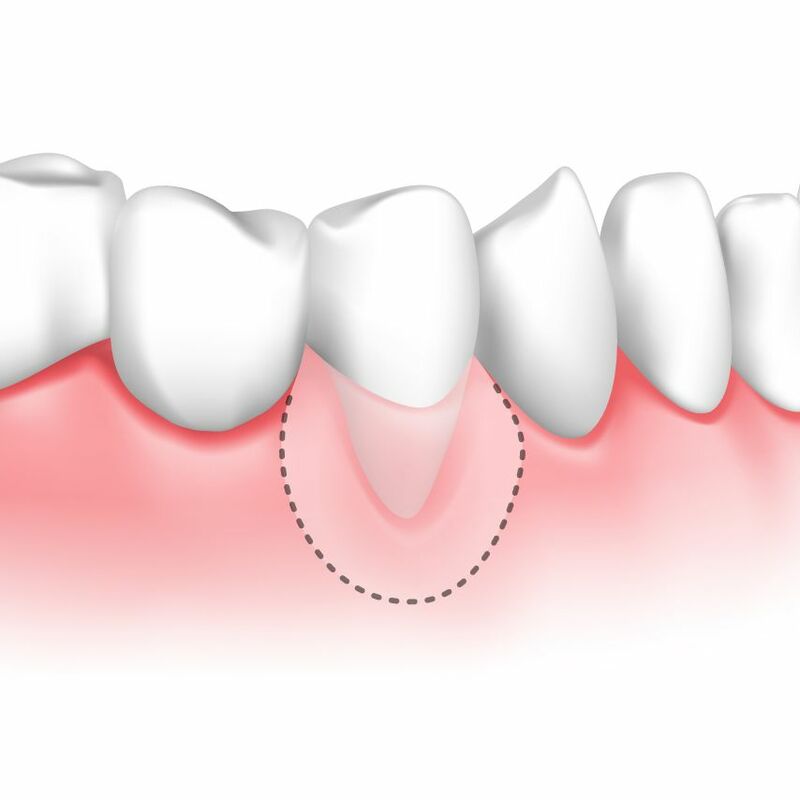 When gum recession occurs, the best option for treatment is usually soft tissue augmentation. This procedure involves the use of gum grafts to rebuild the gumline. These grafts will help restore the missing gum tissue, protecting the underlying tooth roots in the process. Before soft tissue, augmentation, it's important for any issues affected the tooth roots to be treated first. These treatments can be discussed during the treatment process. For more information about alleviating tooth sensitivity and treating gum recession, be sure to contact our cosmetic and restorative dentistry center today. We will work closely with you to ensure improved dental health and wellness.